One for actual things to go to (events). This has been a huge help now that we’re getting busier with playgroups and park dates, etc. I love that along with putting things on the calendar, I can set it up to send me an email to remind me to do things. It’s gret for work if I tell a customer that I’ll get in touch with them about “X” by “X” date – it helps to keep me in line and remember. Plus, even with all of the things like the household tasks that never happen – some of it happens. It’s often because I look at that calendar, so I figure that it’s better than nothing getting done! How do you stay organized? Any great online tools? Do you love an old fashioned pen and paper system? A calendar on the wall? ← Back To School Routine Cards to Share – Free Adorable Downloads! I use 2 moleskine notebooks – the large 5.25″ x 8.25″ size. 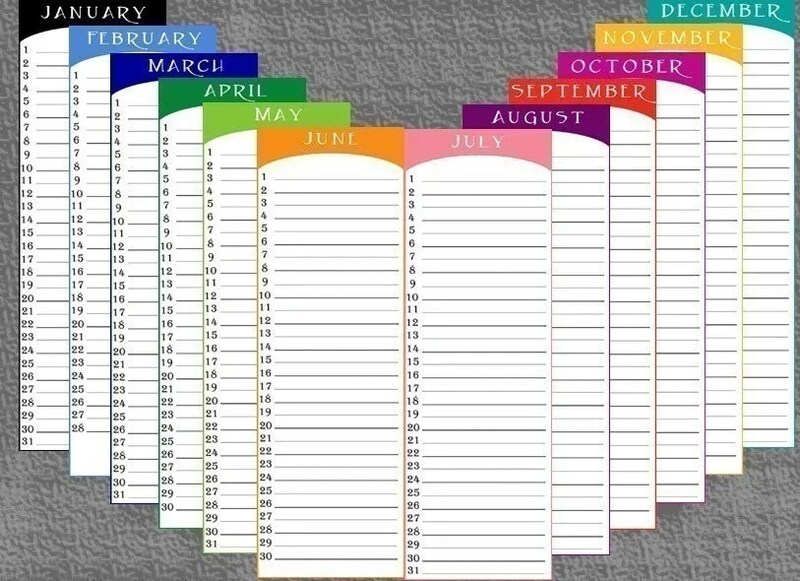 I use a squared one for my calendar, and I draw out a complete week every 2 pages. I use that one for appointments, VIP task list & menu. I use a ruled moleskine for pretty much everything else – shopping lists, client notes & to-do lists, etc. I’ve started using google calender and it’s awesome! I do all of my lesson plans on it and then sync it with my iTouch. I can publish info from there to my websites (homework, etc) I always have my touch with me, and when I put appts into it, it automatically syncs as soon as it connects to the network. It’s the most organized my appts have ever been!